Home » Distracted driving statistics — what to believe? I received an interesting fact sheet from the Traffic Injury Research Foundation (TIRF) this week. It looks at distracted driving related fatal collisions in Canada from 2000 to 2015. In some Canadian provinces this type of fatality has surpassed the total caused by alcohol impaired driving. However, that’s not the part of the document that made me pause. 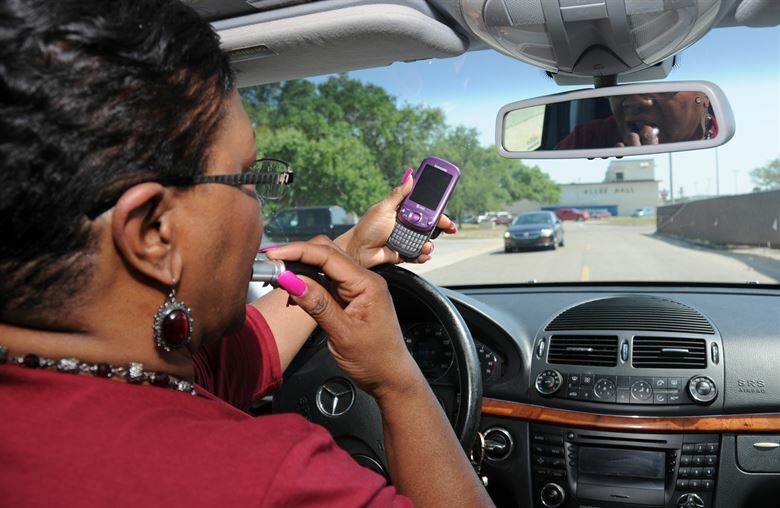 Distracted driving to many means the manual use of a cell phone while operating a motor vehicle. In reality, distractions include being engaged with entertainment or communication devices, engaging with passengers in the vehicle, or eating, smoking or personal grooming while driving, among other examples. Doing anything that takes the driver’s attention from the driving task could be considered as distracting. It should also be noted that in some collision report forms, investigating officers may code the driver condition as ‘distracted, inattentive,’ meaning there was a general lack of attention exhibited by the driver but there was no specific source of distraction identified. To me, distracted and inattentive are two different things. Lumping them both together does not paint a true picture of the problem. Collision data gathering can be a complicated task. In order to be reliable, it must be done promptly, carefully and thoroughly by investigators who gather as much data as possible, considered for accuracy and then reported in a consistent manner. Fatality data from British Columbia from 2011 to 2015 were not available at the time that this fact sheet was prepared. As a result, Canadian data presented have been re-calculated to exclude this jurisdiction and make equitable comparisons. This politely worded statement could mean many things. TIRF did not give adequate time between the request for data and the writing of the report. It takes more than 3 years for B.C. bean counters to determine a result. B.C. refused to share the data with TIRF. Worst of all, maybe B.C. really has no idea what that data is. Our government chose to discontinue the requirement to report a collision to the police in July of 2008. Currently, ICBC claims personnel are the only ones in a position to gather the majority of collision data. If we can’t share data with TIRF, can we be sure that what we are being told about the impact of distracted driving is true? No doubt it is taking place as the police issued about 43,000 tickets for using electronic devices while driving last year and we know that the consequences of doing so can be terrible, but how many of the 960 collisions that happen each day in B.C. can be blamed on driver distraction? Read the original column here.